September 8th, 2015 by Roy W. Spencer, Ph. D.
The dust storm currently impacting the Middle East started over northern Syria two days ago, and has spread south and westward. I don’t recall one this extensive in this area during the modern satellite era. The following color imagery from the NASA MODIS instrument reveals the daily progression of the storm, and just how large an area the storm has covered, from southern Turkey to northern Egypt (click to enlarge). BBC is reporting that this is causing lots of health problems. However, the fighting has temporarily stopped in parts of Syria as a result. The dust is what all the people leaving Syria are kicking up. While they may not track much of that dust to their new medeival wannabe Fairy Kingdom Austria by the time the traffic flow slows there may be plenty of ISIS invaders. As some you know, I have begun a project (Too Much Cotton Leads to Meltdown) to answer the fundamental question: How can (does) the Venus surface have such an extreme temperature? Roy, I have asked you to contact me so I could submit photographic evidence which supports Richard Feynman’s theory of light scattering by clouds which I have drawn to your (Roy and others) attentions several times. And I written that I will continue to submit the following until you inform me how to submit these photos to you. Or, until you shut me out as you have DC (a responder from Australia). One objective of this project is to demonstrate how I, a chemist, approach my science. Which I consider how many other chemists approach chemistry. Another objective, of greater importance, is to bring information to your attentions that I do not find a common part of the landscape of meteorology and climatology for almost 50 years as the primary focus of these disciplines became global warming (now climate change) which was clearly based upon the hypothesis known as the greenhouse effect. Whose generally accepted result is that the earth’s temperature would be approximately 70oF less than it now is if not for certain trace gases in its atmosphere. Roy, you have even written that this difference would even be greater according to your reasoning. So, I cannot understand, if these trace gases produce such a significant result, how you, or anyone, can reason that small changes in their concentrations do not have a significant result. Hence, I repeat: “DC was correct in that you (we) must explain the known facts about the Venus atmospheric system. … DC ignored the 10km thick cloud deck beyond the fact it produced a very significant albedo so that reasonably very little solar radiation could reach the surface of Venus.” A few of you have responded to this particular comment but no one commented about the possible influence of the cloud deck beyond that addressed by DC. Upon repeated occasions I have drawn attention to (quoted) what Richard Feynman taught physics students at Caltech about light scattering by clouds during the 1961-62 academic year (a little more than 50 years ago). But, to my memory, no one on this site has responded to what he taught. When I bought the three volumes of The Feynman Lectures on Physics, because it seemed the thing a physical chemistry graduate student should do, about fifty years ago, I could not understand anything I read so I set them aside except to sometimes look to see if he had written about some topic in which I desired to learn more from someone I thought I could trust. From the first time I read the less than two pages he taught about light scattering by clouds I could understand the result of which he taught even if I understood nothing of the physics he also taught about it. I have searched to references to this scattering theory without success. Roy, DC, and others, Feynman has just stated it is impossible, absolutely impossible, to explain (understand) the interaction of light with atomic sized matter in any classical way as has been only attempted in the case of the greenhouse effect hypothesis. As had been done in failing to consider what should be termed the phenomenon of Feynman scattering because it seems few physicists even know that it (the phenomenon) exists. At the beginning of the third paragraph Feynman had written: “There is one lucky break, however—electrons behave just like light.” I wonder how many physical scientists now know what the observation was that forced the conclusion that electrons behave just like light? I have no idea what point you are making, Jerry. Sutcliffe’s book is introductory, and contains nothing I am aware of that is being ignored by climate researchers. The temperature profile of the Venusian atmosphere is pretty well understood, based upon incoming solar absorption at different levels, greenhouse gases, clouds, and convective heat transport. It’s been modelled pretty successfully. Scattering of radiation by clouds is indeed important, as it is on Earth. The amount of sunlight reaching the surface (which allowed photos to be taken by landers) is about the same as a mostly cloudy day on Earth. That so little sunlight can generate temperatures hot enough to melt lead at the surface is due to the strong IR absorption and re-emission by the atmosphere, which prevents efficient cooling of the lower layers to outer space. It has 230,000 times as much CO2 as Earth’s atmosphere, so even the upper layers are pretty opaque to IR radiation. And, as I have mentioned ad nauseum, you can get as high a temperature as you want with minimal energy input if you greatly restrict a system’s ability to cool. When you wrote: “I have no idea what point you are making, Jerry.”, I believe you are stating a truth and are not merely stating this to put me off. When you wrote: “Sutcliffe’s book is introductory, and contains nothing I am aware of that is being ignored by climate researchers.”, I cannot agree totally with you. For Sutcliffe wrote: “Long-wave radiation from the earth, the invisible heat rays, is by contrast totally absorbed by quite a thin layer of clouds and, by the same token, the clouds themselves emit heat continuously according to their temperatures almost as though they were black bodies. In this way clouds by day keep much of the sun’s heat away, but at the same time and in the nighttime too they return to the earth much of the heat that would have been lost.” (pp 34) You and many of the climate researchers accept the hypothesis of the greenhouse effect in which it is not the thin clouds, or clouds in general, that “at the same time and in the nighttime too they return to the earth much of the heat that would have been lost.” The reason I have kept repeating what Feynman taught about light scattering by clouds is that Feynman’s hypothesis (theory) denies that cloud droplets absorb electromagnetic radiation (light), instead he proposes they very strongly scatter the long-wave radiation from the earth if (when) the common droplets of a cloud have a diameter of 20µm. I can agree with your statement: “you can get as high a temperature as you want with minimal energy input if you greatly restrict a system’s ability to cool.” You made this statement in the context of the Venus atmospheric system. The question again is: What is the mechanism by which this system’s ability to cool restricted? Is it restricted by the fact that its atmosphere is predominately carbon dioxide (greenhouse effect) or is it restricted by the fact of a 10km thick cloud deck (scattering)? As I recall droplets are generally about 10µm, though in tropics they can commonly be much larger than 20µm. But generally I would say hey have wide range and one would have specific the size in some kind of context. of them. Or if 1 H20 molecule can absorb a wavelength, then many H20 molecule can absorb that same wavelength, plus wavelengths that a single H20 can’t absorb. Actually I would say a single molecule isn’t heated as a molecule of gas heat is the velocity of it and many other molecules. Though a molecule’s electron can be excited and in that sense absorbed. So single molecules can be made to glow, molecules bonded together are heated and radiate a fuller blackbody spectrum. But in any case once droplets are big enough they can reflect SW light- gas molecules don’t reflect, though they can diffuse/scatter light. So a transparent droplet if big enough will reflect light and billions of them can reflect a lot of light [reflect tiny reflections]. Or with a cross section of a small sphere a lot of area is has incident angle of less than 30 degree, and at such low angles, water is quite reflective. But in terms of longwave, one aspect is the wavelength can larger than the droplet- so can’t reflect. And other aspect is water absorbs Longwave- it’s heated- assuming it’s cold enough. So either heated or re-radiated. You can agree? I can’t. But anyhow they do reflect sunlight, but they also absorb SW and are heated. Cloud on earth reflect sunlight and absorb sunlight. They can be “burn off” by sunlight- warmed and evaporated [and “disappear”]. Clouds can also evaporate and re-condense back into droplets also [thickness of clouds and other factors affect this]. Now when water evaporates the gas has high velocity, and it can transfer it’s kinetic energy to other gases [Ie N2] so evaporating water unlike radiant energy actually can increase average velocity of gases [or warm gases]. The water droplets can also be warmed from radiant energy and warmer water than the the surround air can warm the air. It’s this latter process which occurs on Venus. Though the acid also does evaporates, and like thundercloud create a large amount of convection and up lift. So it’s vague like a furnace. And furnace at 50 km elevation. So if air would be say 30 C and warmed to 50 C, at certain elevation, that added 20 K, warms lower air by 20 C.
This is not unlimited heating- it depends upon how big the atmosphere is and what elevation the heating can occur. And it matters that the cloud are acid, rather than water. It wouldn’t matter on Earth, but with Venus being closer to the sun, and massive atmosphere, the acid rather than water makes big difference. Or unlike what predicted by Greenhouse effect theory, I would say if you add enough water to Venus, it result in a lot of cooling. It’s still would quite hot, but it would be a cooler hell. Or water would dilute the acid and lower it’s boiling point. And rain clouds would go higher than the acid cloud. And Venus would also be a bit brighter. While ever you guys think in terms of radiation and its effect you are failing to see the woods for the trees. I have explained how we can calculate what the surface temperature of Venus should be expected to be and, more importantly, I have explained the physics behind the computations and the necessary energy flows. You won’t find my correct explanation anywhere else in world literature. The hypothesis at http://climate-change-theory.com and in the linked paper, video and book is also applicable everywhere else in the Solar System, where it is confirmed valid over and over again. The direct solar radiation reaching the surface of Venus has been measured as less than 20W/m^2, whereas you would need well over 16,000W/m^2 if direct solar radiation were determining that temperature of about 732 to 737K. The solar radiation on Venus is partly reflected, but mostly absorbed by the atmosphere, such absorption being more below the clouds because of the greater density. Carbon dioxide does absorb some solar radiation mostly around the 2.1 micron band. Scattering of solar radiation by clouds would be fairly irrelevant and could in no way amplify the energy in the incident solar radiation. Radiation reaching a planet’s surface is not the primary determinant of the temperature there. You all need at complete and utter change in your whole paradigm. You need to think entropy, not radiation. Jerry: You’re a chemist. Does CO2 absorb certain wavelenghts of infrared radiation, or doesn’t it? See the graphic reproduced in section 6 here and also easily found elsewhere with a Google search. Note the notch indicating absorption by CO2 near 2.1 microns. Certainly carbon dioxide, water vapor (molecules), and other greenhouse gases absorb infrared radiation. However, a fundamental question is: What happens to this absorbed energy? I have drawn attention to what Feynman taught students at Caltech about Einstein’s laws of radiation. (The Feynman Lectures on Physics, pp 42-8 to 42-10) I now see I should have quoted a portion of this directly before a previous quote from this section. How, do we (chemists, who claim only to know a little physics) know that Einstein was right? It is this invention we call lasers. As I take a second look at what Feynman, I read something that I thought I had read, but if I did I certainly did not comprehend it. But now that I read it, I find it is not difficult to comprehend. So I must conclude that I overlooked it because I was reading too rapidly or carelessly. Now I have gotten to the point where I previously began quoting Feyman. I have reviewed what I had written previously and find that I had assumed that which Feynman clearly taught. I discovered my oversight because I was aware there was a law, the Lambert-Beer law, in which the probability of absorption is directly proportional to the concentration (density) of the absorbing atoms (molecules), so I was rereading what Feynman had taught. The probability of absorption seems dependent on two different factors and I was rereading what Feynman taught in trying to understand what I knew I did not yet fully understand. For, at this point, it seems if I have a gas sample, having a given concentration of water molecules, in a spectrophotometer and observe the percentage of absorption of a certain wavelength at which the water molecules absorbs, it seems if the intensity of this certain wavelength is increased, the percentage of absorption of the same sample should increase. While I do not have a great deal of experience of using spectrophotometers, I do have some. And as a chemist I have never considered that the intensity of the radiation source was a factor in the percentage of absorption observed. But if I could double the concentration of water molecules without causing condensation, I would expect the percentage of absorption to be one-half of the first sample. A question of which I do not know the answer from experience is: Does the temperature of the gas sample increase because water molecules are absorbing the radiation incident upon them? Or when one has a gas sample of containing water molecules at some temperature at which there is a fraction in an excited state so that some of the molecules are spontaneously emitting these certain photons as they transition to a ground state: How does one zero the spectrophotometer as if the sample was not emitting any photons? These seem to be practical, fundamental, questions of which we need, to be content, to know the answer. Like any excited quantum state, the molecule emits radiation to return to its ground state. Thi photon then travels through the atmosphere until it is either absorbed by another CO2 molecule, absorbed by the ground, or escapes through the top of the atmosphere. I am content with your answer except I have another question which I also consider to be a fundamental question. I believe you and I am considering that this excited molecule, whether carbon dioxide or water molecule or other greenhouse gas molecule, was excited by the absorption of a photon. But Einstein considered there were other excited molecules which could spontaneously emit a photon. Which seems to imply there was (is) another way (other than by absorbing a photon) that an excited state might be formed. For it would seem a population of excited molecules, not excited by the absorption of a photon, would eventually be depleted if there was not some other mechanism to replace them. So the fundamental question is: Is there another mechanism by which a gas molecule might be excited other than by absorbing a photon? Jerry: your far-too-literal reading of Feynman (which does not include context) it way out of wack. There are only molecules excited by the absorption of infrared radiation. And they decay, or they gain translational energy. Yes Jerry, that is indeed a very impressive dust storm. How perceptive of you. Both electrons and light behave like waves. Which as I’ve mentioned in prior posts helps explain why an electron can pass through two portals simultaneously! Imo, neither electrons or light have a particulate nature. They’re WAVES!!! Also I’ve previously mentioned the Venusian particulate layer REFLECTS almost 90% of surface emitted IR back to the surface, returning more radiation back to the surface per molecule than a GHG. However, imo that fact alone still doesn’t explain Venus surface temps. Geran, I had requested to Roy that he privately contact me with information of how I could submit photographic evidence to support the scattering of light by clouds taught by Richard Feynman to students at Caltech. I had previously submitted this which Feynman taught several times and it has totally ignored by you and Roy. At least, neither you nor Roy have ever referred on this site as to what Feynman taught. Maybe this not exactly true because Roy’s comment, “I have no idea what point you are making, Jerry.”, could cover any point (comment) that I have ever submitted. Notice the fact that Roy, and you geran, do not address the reason clearly stated of why I have repeatedly submitted the same basic comments. I have never requested that Roy post my photos, I have only requested that he provide a method of submitting the photos to him so he could view them. JohnKl, you wrote: “Imo, neither electrons or light have a particulate nature.” Previously, you had referred to de Broglie. So this time I googled de Broglie and found that iho (in his opinion) electrons were particles. I do not understand how you can consider your opinion superior to that of de Broglie (who worked with Einstein according to your previous statement). Of course Jerry you may be asking yourself what does de Broglie know about de Broglie. Truly sad. Please be patient I’ll provide more info soon. I am the one who accepts the electrons are particles and behave as waves also. You are the one who has claimed that electrons are not particles (matter). Reread what I have written and what you, yourself, have written. Jerry: Electrons are neither particles or waves. Me again, you may want to examine this website regarding de Broglie and the wave nature of electrons. Oh! Jerry you may want to consider this PDF file on de Broglie and Wave theory. Please peruse this site as well. Louis de Broglie understood that an electron did not have to be a discreet particle orbiting a nucleus but a WAVE TRAIN. Actually I should have said that the comments to the following article explains physicists opinion. Jerry, why are you picking on me? I only mentioned how perceptive you were to notice the sand storm. I never said that you were a bloviating, self-absorbed, “cotton-wanna-be”, or anything like that. Obnoxiousness: annoying or objectionable due to being a showoff or attracting undue attention to oneself: an obnoxious little brat. By your definitions of good behavior, it seems Galileo should have never written his first book, to say nothing of the second. By your definitions of good behavior the Wright Bros should have given up after the first time they went to Kitty Hawk and their construction failed to perform as expected, or at least after the second time. My purpose is not to play games; it is to inform others of information of which they might not be aware. What they do with this information is not my responsibility. Yes, you are correct I am obsessed because you have not been successful in silencing (censoring) me. No, Jerry, your purpose is TO play games. You try to hint that you have some “cryptic discovery”. You want Dr. Spencer to beg you to share it. You ramble on endlessly, quoting from others, but you are going in circles. Hint: If you can’t state your point in 100 words or less, you likely don’t have a point! Once again your statement appears inadequate, contorted and clear as mud. In your reply you mentioned nothing about a wave/particle duality but merely claimed your web research indicated that de Broglie believed electrons to be particles period. A view I later proved false. So take your own advice and reread your own empirically challenged statement. For the record, imo all energy correlates to mass as Einstein’s equation indicated. My apparently for Jerry heretical view that electrons are not particles that rotate about a nucleus proved more than Jerry could bare. Btw, my view does correspond to Louis de Broglie’s views as I proved with quotes, links and such references. Apparently, you do not feel obligated to do the same, but simply restate your position as clarification after your original statement appeared inadequate. Thanks at least for the attempt. Tobe clear Jerry, the universe comprises space, time and matter. Electrons ARE MATTER, they ARE NOT PARTICLES. Please indicate where I have claimed otherwise. You wrote: “Imo, neither electrons or light have a particulate nature.” I must admit I do not know what you mean by “particulate nature.” An electrical charge is not a particulate nature which distinguishes an electron from light? Yes, light is electromagnetic radiation but to my understanding, light never has an electrical charge. The common definition means a small speck, chunk or piece of matter. Please know in the case of electrons I believe they do occupy finite space. It seems to me doubtful that it can be handled or treated the same as any regular solid, liquid or even gas or comprise some indivisible irreducible chunk of whatever. You correctly point out that light doesn’t have an electrical charge but neither do neutrons. In any case, I believe the physical nature of electrons, protons and neutrons remains open to some speculation in part because their remains many unknown aspects to their nature. Yet light interacts with electrons. And with itself. It’s what makes the theory so difficult, computationally. You have, unfortunately, misunderstood Feynman and his context. Electrons do not, of course, behave just like light — because they have mass and because they have electric charge. The theory for which Feynman is famous — quantum electrodynamics — makes a very clear distinction between electrons and light in his Feynman rules for particle interactions — each has a different propagator, and different vertices. Unless you respect these rules, you do not get the right answers — i.e. predictions that agree with experiments. You need to go back and study Feynman harder. 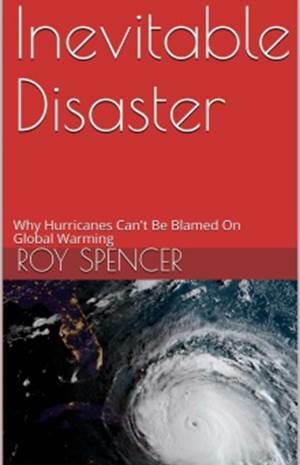 Roy are you changing your view of Climate Change? You have two posts now of a Hurricane forming farther East than has ever been recorded (Fred) and now a Biblical end-of-world Duststrom! Doom is coming and Doom is here. David Appell will crack open his 100 year old Scotch to celebrate the end of the world. David Appell may have to buy 100 year old bread also since it may lack adequate protein. The Scotch doesn’t sound half bad though! I should have stated: David Appell may have to buy 100 year old bread also since modern bread may lack adequate protein due to atmospheric CO2. Why are people talking about me behind my back? A public website you frequently peruse hardly constitutes “behind your back.” However, you may suffer from protein insufficiency due to some CO2 induced grain trauma to your favorite bread so I’ll keep that in mind. Btw, do you have research tracing several decades by scientists throughout the world to back up such claims? Any counter claims by dissident researchers? After all scientists/agriculturalists have been spiking Hot-houses with CO2 for some time to increase yields, there should be voluminous records by now from many agriculturalists world-wide by now don’t you think? You do realize many urban areas now sport agricultural zones where wheat and other plants are grown for food? Urban areas can have CO2 levels above 1000-1500 ppm. Do you think they might reflect greater abnormalities than the 400-500ppm CO2 levels found in rural farm country? Have urbanites complained of defective wheat? Have the local inner-city Roebucks stores closed for inferior wheat grass? Just asking…. Correction: Roebuck should be spelled Robek! Records are made to be broken. Farthest east, south, west, north. Whatever. Because of AGW of course! Is this storm really unprecedented? Years ago I watched a science special regarding coral reefs and how dust carrying fertilizer from Africa wound up in the Gulf of Mexico only to destroy marine life (like Cora if I remember correctly a) in that region. One will occasionally hear how this oe that weather phenomenon appears unprecedented only to have some researcher find something worse. Link goes to nice photo with other photos (right side), for the event or other events. Where there are clouds, it hardly matters whether there is anything of a greenhouse GAS effect present, H20 or CO2. A series of very cloudy days in temperate regions, at most times of the year, will cool the surface underneath. The quantum mechanical aspect is irrelevant, since the gross phenomena are well known. Thank you. I believe you understand what I believe I understand. With a possible exception of a couple points. Clouds at night slow the cooling. So it seems better to just conclude that clouds moderate the temperature. Feynman in teaching his students about light scattering by clouds might not appear to involve quantum mechanics but I know it is not classical physics as I do not try to understand the physics involved in reaching the conclusions he reaches. Those conclusions are what explains that which is seen in the photos that I want to share with Roy and possibly the rest of you. And it is only these conclusions of Feynman which can properly explain why even thin clouds can so strongly scatter the longwave radiation from the earth back toward the surface. Who needs to explain it? The gross phenomena can be taken for granted. If your point is that this scattering is ignored, it is not ignored by the people who study it! The optical depth of cirrus clouds for visible light is of the magnitude of half a kilometer and the optical depth for IR is about twice that. Once something is scattered, it is likely to be soon absorbed. Of course cirrus clouds are ice, not water. Perhaps the main thing about clouds which is sometimes unappreciated, is that this is where the most enormous transfers of energy from the surface to the atmosphere are completed, through condensation. If your point is that the details of clouds are ignored by most people who pontificate on atmospheres, well that is not amazing. I had prepared the following before I read your comments. I have something planned so I will get back to you about your comments a bit later. The “dewpoint temperature” is not an actual temperature. It is a theoretical combination of temperature and absolute humidity where condensation should start. If the actual temperature falls below the dewpoint temperature (supersaturation) it will generally be temporary*; firstly, because of released heat of condensation, and secondly, because the absolute humidity will be forced down by condensation, so that the dewpoint temperature is NECESSARILY lowered by the requisite amount. Compare with “the breaking force of this rope is known to be 100,000 Newtons.” You see me using it, and you say “It is an interesting observed fact that the actual force you use is always less than the breaking force!” You are not comparing two actual forces but one actual force to a theoretical force. *Actually, supersaturation DOES occur in the atmosphere, especially in the upper troposphere. First, I, a chemist, recognize that on a microscopic scale there likely is no perfect balance (equilibrium) at a given instant of time because of the constant, random, motions of atoms and molecules. But at the macroscopic scale (level) that we can observe there can be if a system is isolated from ‘forces’ acting to change it. You are correct when you state that the dewpoint temperature is a commonly calculated value based upon the observed temperature and relative humidity of a parcel of atmosphere. However, I have recently learned that at automated weather service stations, the dewpoint temperature is directly observed by slowly cooling a smooth reflective surface until condensation on the surface begins. The advent of this condensation is detected because a laser beam was being reflected from the smooth surface to a photocell. When the condensation began the laser beam was diffused by the water droplets of the condensation and the drop in the intensity of the reflected beam detected by the photocell. Hence, I conclude that the dewpoint temperature can be observed in a way similar to that by which we observe temperature. But I do not consider this an important issue. What is important is: “Actually, supersaturation DOES occur in the atmosphere, especially in the upper troposphere.” I am sure you are referring to observations of the relative humidity being routinely observed by atmospheric soundings where relative humidities greater than 100 percent are observed. I have commonly studied that results of atmospheric sounding being launched from the local airport. So I am well aware of such if I assume that cirrus clouds are ice as Dave assumes they are and I once assumed they were. However, I only recently discovered I had overlooked something that Sutcliffe, the meteorologist, had directly written. He wrote: “While there is no evidence that the air is ever significantly supersaturated with respect to water without the formation of cloud, the occurrence of supersaturation without the formation of ice particles is normal. Down to temperatures of –10oC clouds, unless contaminated by falling ice crystals from above, are regularly and perhaps invariably clouds of water droplets alone although at this temperature the air, saturated with respect to water, has a relative humidity of 110 per cent with respect to ice.” Previously, before discovering my poor reading, I had considered relative humidity of 110 per cent with respect to ice to be an instrument problem. Now, one reason I began to study the data of these atmospheric sounding I know I observed clouds when the weather service at the same airport of the launching of the atmospheric soundings reported clear skies. So I hoped to find evidence of these clouds by finding the altitudes at which 100 per cent relative humidities (RR for convenience) were observed. Except, I seldom ever found RRs of 100 per cent even at the altitudes that the weather service reported there were observed clouds. The RRs of these known clouds could be lower than 90 per cent. Again I suspected instrumentation problems. Finally, I have come to consider that soluble condensation nuclei (salts or acids), which Sutcliffe (and everyone else) considers necessary to prevent the atmosphere from becoming supersaturated with water vapor relative to water, so lower the vapor pressure of the droplets that their equilibrium vapor pressure is only 90 per cent, or less, of that expected for a droplet of pure water. Now, relative to the condensation nuclei necessary to prevent superstaturation of water vapor relative to water, Sutcliffe focuses on sea salt in his discussions. And now I consider he (and probably others) overlooks the known fact that lightning causes the reaction of nitrogen and oxygen molecules to form molecules of nitrogen and oxygen which when they react with water molecules form acid molecules which dissolve in water to form solutions of nitrous or nitric acid. And somewhere I believe I remember reading that 10,000 thunder storms are occurring worldwide at the same time. Had to get this said because I have never read anyone writing about the possible connection (relationship) between condensation nuclei and thunderstorms. This is not to imply that no one has ever written such. Thank you for the information (about thin clouds) of which I was not aware. I can agree with: “Who needs to explain it? The gross phenomena can be taken for granted.” The observed phenomenon exists whether or not we can explain it. However, I believe a scientist should strive to understand what is seen because one never knows where an understanding might lead to other beneficial discoveries. The observations about the influence of thin clouds upon solar radiation and longer wavelength IR radiation supports the theory of light scattering by clouds which Feynman taught students at Caltech, as I understand it. I have never read about this theory anyplace other than The Feynman Lectures on Physics. I have no idea, at this point, if you were, or are, familiar with what Feynman taught. The photos, which I want to share with Roy and others, also seem to support what I term Feynman scattering. However, you also wrote: “Once something is scattered, it is likely to be soon absorbed.” I just wrote that the reason I began commenting here is that I considered I knew of reproducible observations which refute the claimed result (consequence) of the greenhouse effect. I must ask: What happens to the something (photon I assume) once it is absorbed? For the basis of the greenhouse effect is that the absorption of a photon must ultimately warm the atmosphere. At least that is my understanding. To go back to your information about the influence of thin clouds. There is no condition that you state or that Feynman states upon the temperature, or altitude, of the thin cloud. R. C. Sutcliffe, Weather & Climate, whom I respect, wrote: “Long-wave radiation from the earth, the invisible heat rays, is by contrast totally absorbed by quite a thin layer of clouds, and by the same token, the clouds themselves emit heat continuously according to their temperatures, almost as though they were black bodies. In this way clouds by day keep much of the sun’s heat away, but at the same time and in the nighttime too they return to the earth much of the heat that would have been lost.” If the temperature of the thin layer of clouds was near the temperature of the earth they could return to the earth much of the heat that would have been lost, but if the thin layer of clouds was at a high altitude where the temperature of the cloud must be much lower than that of the earth below, it cannot return to the earth much of the heat that would have been lost. And if the high, thin, cold, cloud absorbed photons which were converted into a warmer cloud and atmosphere, should not the droplets evaporate? But I am sure you have observed high thin clouds which persist hours or even days because their environment is not warmed. Again, we have an observation so why do we need an explanation? Because there is one, if I understand what I read. Please note I am not telling what I think, I am writing about what others have written and what I claim to understand from what they have written. You are free to reach your own conclusions about what these others and I have written. And I know what I claim to understand at this time has painted me into a corner. For at this point I cannot understand how radiation can warm anything. Yet I certainly can observe that it does. Which seems, really, to be that PHYSICS painted itself into a corner a hundred years ago. Which is possibly true*. Just don’t imagine Feynman was any better than anyone else, and can show you a way out. The (quantum) problems started with apparently useful developments – knowledge of the make up of atoms, the discovery of electrons, and such like. Scientists at the time said “Great! Now we can take our explanations to a deeper level.” But these explanations monotonously turn out to be complete rubbish. It is a bit like a man, who is suspicious of his wife because she keeps going into a hotel room. He gets a spy camera and peeks in. And discovers that his wife is a man and is having it off with an alien. And then he has to explain it all to a divorce lawyer. For the purposes of the people on this blog, none of this matters – which is why some are thinking of you as another Cotton. Feynman saying that liquid water or ice SHOULD only reflect or deflect (“scatter”) EM radiation, and not absorb it, does not matter. That is his problem, not ours. I must point out that in the lecture by Bragg there is an obvious mistake or omission of a phrase. At one point he writes “the interchangeability of ether waves and electrons.” He means the interchangeability of [the ENERGY associated with] ether waves and electrons. I now see I should have immediately asked you who are these people who study scattering by observing it. And I should asked you if I could read their reports of that which they have observed. Well, for example, there was an article in Volume 66 of the Journal of Atmospheric Sciences, pp 3721-3731, published 2009, by J S Lee et al., entitled ‘Distribution and Radiative Forcing of Thin Cirrus Clouds.’ The References include at least a hundred names of scientists who study upper clouds. It is clear that it is an active field of investigation. I expect there are textbooks, if one rally wants to get into it. But, milk before whiskey surely? Started check out the leads you gave me and discovered some names I knew in the past and that the article you referred to was available online, which I did not expect. Plus, the citation index which allows one to fast forward to the present. Plus, as everyone knows, the citations give one an indication how important the specific scientific community regards an article might be in the big picture. I am curious how you are familiar with the efforts of this community to which you drew my attention. Thank you very much. While I do not know where it might lead, I already know some professors whom I will try to contact. But first I need to do more research to make sure they have not already directly addressed some of my concerns or seem too heavily invested in certain ideas to be willing to consider contradictory ones. But it is interesting to see that thin cirrus clouds, hard to even detect, are now identified as a not well understood (observed) factor which needs to be better understood if we are to understand possible climatic changes. And I believe I discover an answer that I was tempted to ask, but thought it better to do some homework first. The question was: Which IR (the near IR of solar radiation or the ‘far’ IR of terrestrial radiation was being considered in the optical depth observations (calculations?) to which you referred. It seems it was the 1.375µm channel or the near IR of solar radiation. Correct me if this conclusion is wrong. I do have trouble with the terminology and hence difficulty in understanding too much of the more recent articles. While I believe I understand that greater optical depth means greater scattering, I had to look back at your comments to make sure that depth was the correct word. While back to Roy’s site I see you have a new response to a previous comment and I will submit this and then study what you have written. Started this response several times and now believe I have found something with which I am content. And I am sure geran will not be as I quote and use more than 100 words. First quote: “It’s not that I’m so smart, it’s just that I stay with problems longer.” (Einstein) I have studied, questioned, the greenhouse effect for 40+ years and I believe I am finally putting together the pieces. You directed me to some references in Science and Nature that I had read more than twenty years ago and had generally forgotten about. Second quote: “No amount of experimentation can ever prove me right, a single experiment can prove me wrong.” (Einstein) What was that single experiment? Geran, I will not wait to see if you or anyone else can tell me the answer. But first I will ask: What did Einstein predict that was most amazing (unbelieveable)? It is said Socrates taught by only asking questions. My answer to the second question is that gravity could bend light. So, my answer to the first question is: Can it be observed if gravity does bend light? If you google solar eclipse of May 29, 1919, you might find what I found. “On this day in tech history, a total eclipse photographed by Arthur Eddington provided proof of Albert Einstein’s theory of general relativity.” The author of this quote evidently did not know that Einstein had stated: “No amount of experimentation can ever prove me right, a single experiment can prove me wrong.” So Arthur Eddington’s photo did not prove Einstein right, it only documented the fact that his theory was not wrong when it predicted that the light of a star passing near the sun should be bent by the sun’s gravity. Feynman taught his students at Caltech about a theory of light scattering by cloud droplets which it seems has only been published in The Feynman Lectures on Physics. And in this book a demonstration is described which he conducted to demonstrate the validity of the theory just taught. While I am sure it did demonstrate what it was intended to demonstrate, it seemed it was not such a dramatic demonstration that it really grabbed the student’s attention; hence their memory of it. The photos, which I wish to share with Roy, grab the attention of everyone, to whom I have shown them, because of their ‘ascetic’ beauty and maybe a little because they themselves have never seen a sunrise as pictured. And they had no idea that I had taken these photos for purely scientific reasons. For I knew, because I had observed it on previous mornings, that the sun would rise as a fire-engine red ball through the smoke bank that extended a considerable distance above the horizon (about 60 miles distant) defined by the Cascade Mountain Range. And based upon Feynman’s scattering theory and his demonstration, I believed the bright red of the sun’s directly transmitted light was due to the ‘fact’ that the smoke particles sizes were far less than the wavelength of red light. But in the original print the sun did not even appear colored because the image of the sun was totally overexposed and I was totally disappointed. Because I had the option of color enhancement, I tried that and the image of the sun became a little pinkish. At this point it took me a little while to see that the general gray of the smoke bank had changed to a somewhat violet (or faint bluish) color. Another possible option was that I could change the brightness of a print. Which I tried in an attempt to reduce the brightness of the direct sunlight. This step did intensify the pink of the sun, but it dramatically altered the ‘violet’ color of the smoke bank to a dark navy color. And it dramatically altered the color of the ‘sky’ just above the smoke bank to near the bright fire-engine red color of sun that I saw as it rose upward through the smoke bank. I know that a picture can be worth a thousand words, and that is one reason I am so obsessed that I beg Roy to offer me a way I might share 6 pictures with him, and possibly you. And one could also say the water vapor of clouds, negate the effects of water gas. Vapor is something we see or smell, and you can see or smell it it’s not a gas- though a gas can chemically react and thereby be smelled/sensed. The pseudo science of the greenhouse effect uses the term water vapor and says only greenhouse gases cause warming, and that these greenhouse gases cause increase earth temperature by 33 C [precisely], and only certain types of gases can cause an increase in temperature. And it should be noted the dust storm is causes conditions to be quite warm in the middle east. And dust is not a gas, either. One could say that dust storm also negate the effects of greenhouse gases. So dust storms or cloud negate greenhouse gases due to the fact they are overwhelming effect as compared to any gases. Or one could say clouds or dust storms are doing everything greenhouse gases “can do” plus there are doing “other stuff”. One could say the oceans “traps” thousands of years of the energy of the Sun, and atmosphere traps days of the energy of the sun. The model used by the greenhouse effect theory, starts with an ideal blackbody. And this ideal blackbody is very much unlike Earth, in that it’s something which is suppose to warm or cool instantaneously by sunlight. One could say it’s designed this way to avoid the “complexity” of Earth climate. In the end, all it did was to add confusion and unnecessary complexity. I would say this ideal blackbody idea can be useful, but it’s like giving the keys to a car to a bunch of primitives- and so rather than it being fun and useful, they end up crashing it into things. However much pressure one applies to, say, nitrogen gas at room temperature the molecules will not cohere. CO2 gas with it’s critical temperature of 31 C, if being precise in physics, should be refer to as CO2 vapour [or vapor if one is not using the British usage]? most of the 33 C of warming of the greenhouse gases and vapors, according to Greenhouse Effect theory? Yes, unless the temperature happens to be above 31 C, which it sometimes is in the atmosphere. H20 is always a vapour in the atmosphere since its critical temperature is 374 C. Even with Gore-ish warming, I think 374 C is some way off. Doug. – To prove your physics substantially wrong, Dr. Spencer ran this test demonstrating opposite results to yours regarding water vapor proving your calculations incorrect by test. You now have an even bigger hoax on offer. Doug, you already owe me money for busting that 4 molecule thought experiment. There have been no submissions for the $10,000 reward to the email address on my website let alone any that include the required study and attempted refutation of the thermodynamics and entropy considerations discussed in the hypothesis. Any email submissions which include a study supposedly proving positive correlation between temperature and precipitation and the required discussion of the physics being presented will be copied here (or on a later thread) with my response. Garbage comments like those from Ball4 and Alick will be ignored as they do not in any way, shape or form even attempt to discuss the necessary entropy maximization which is what the Second Law of Thermodynamics says will tend to happen. There is no mention of four molecules in my documented hypothesis. You won’t prove the hypothesis wrong with four molecules, any more than you would prove the Second Law wrong by showing that four molecules don’t all end up with each having the same sum of kinetic energy and gravitational potential energy. But if each “molecule” in this over-simplified thought experiment were in fact an ensemble large enough to have a temperature that could be measured on a macro scale, then indeed you could prove the Second Law (and thus my hypothesis) correct, because entropy is indeed maximized when unbalanced energy potentials have dissipated and so all mean (PE+KE) of any macro ensemble is indeed homogeneous. That, indeed, is the basis for the Clausius corollary of the Second Law which only applies in a horizontal plane where PE is held constant. My hypothesis is based on and developed from that Second law, so good luck with proving either the law or the hypothesis wrong, especially when it explains all planetary temperature data, whereas the greenhouse garbage doesn’t get off Square One. (168+67+78+24)in – (390+78+24-155)out = 235in – 235out = balanced at surface w/Tmedian=288K (the 390), 255K at TOA (the 235). I have specified my requirements for the $10,000 reward, Ball4, and I have a right so to do. Roy’s experiment is in total agreement with what I clearly stated in my 2012 paper (and again in subsequent articles, paper and book) namely that radiation from the colder atmosphere slows down the component of the rate of surface cooling that is itself by radiation. It proves nothing new in the world of physics – it is stuff that engineers have known and used for decades, if not centuries. And the joke is that it is apparently news for you, so much so that you have now repeated it about 15 to 20 times I would guess. That experiment of Roy’s has absolutely nothing what-so-ever to do with my hypothesis and in no way refutes it. What is utter crap is the hoaxsters’ claim that the Sun’s direct radiation is supposedly sufficient to explain the observed mean surface temperatures in the first place. What right do you think you have to promulgate such a hoax in order perhaps to support yourself financially? You certainly work hard at it, now don’t you? But you just never utter a word of correct physics in support of it, nor even an original thought on it. You don’t read my hypothesis because you are too … to deign to do so. And so you haven’t even a clue that it is about entropy not radiation. I hope you enjoy your life as a hoaxster. Dr. Spencer’s test linked 7:31am showed 1:30am cirrus water vapor and water ice added incident radiation that increased water temperature concurrently over the non-viewing control water sample so Doug’s hypothesis “water vapor cools” calculations are thereby refuted as incorrect. Just as I have pinpointed for Doug. Since this refutation by test exists and is freely replicable, Doug’s money offer is a hoax if not paid out. Earth’s surface temperature is fully explained considering entropy & 1st law from measured convection, evaporation and radiation as at 6:30am. Venus likewise w/o the ocean evaporation. Clouds (not water vapor) slowing the rate of cooling doesn’t provide evidence of warming. JohnKl – Clouds are made up of water droplets and/or water ice and uncondensed water vapor in search of a condensation site. Dr. Spencer’s test data clearly demonstrates clouds ability to increase water temperature at depth on the planet surface contrary to Doug’s hypothesis & calculations that water vapor cools. Water vapor and liquid water prove transparent to visible light. Clouds and ice appear white because they reflect it. Clouds prove composed primarily of atmospherically suspended ice crystals. Have a great day or make one! A process such as you describe would not increase universe entropy thus no real object has ever been found 100% transparent. At any frequency, at any temperature, at any time. As does snow – our very poor eyesight is limited to visible bands, that’s why they call the bands visible. All three objects (snow, clouds, ice) would appear black if we could see in the IR bands. Folks can’t see the sky glow so defend the case it does not glow even in the face of instrument readings. Note: I did not claim water vapor and liquid water to be 100% transparent, but they reflect much less. Ice crystals do REFLECT much of the light impinging them, by definition this includes ice, clouds and snow as you point out. They are not transparent to visible light; that would prove a 2LOT violation, no universe entropy increase. Water vapor and liquid water have mass, are not transparent at any frequency (including visible), at any temperature, at any time. Possibly what you meant: they are translucent. In other words, THE WORDS TRANSPARENT AND TRANSLUCENT CAN BE USED INTERCHANGEABLY DEPENDING ON WHICH DEFINITION AND/OR MEANING YOU CHOOSE TO APPLY!!! Note: TRANSPARENT DOESN’T MEAN COMPLETELY UNAFFECTED BY THE MEDIUM LIGHT PASSES THROUGH OTHERWISE THE TERM CAN HAVE MEANING ONLY IN A VACUUM!!! As the definition above states transparency only requires that an object on the other side of a given medium can be clearly distinguished. I can clearly distinguish a copper penny at the bottom of a well even though the reflected light from the penny must pass through a liquid water medium to reach my eyes. Water can be quite transparent. So can our atmosphere. You demand a precision to word definitions never intended. Apparently so did my post! JohnKl – You don’t have to shout to make a point. I do commend you for the very good habit of looking up the definition of words. Objects can be clearly seen in the signal passing through a substance however that signal was attenuated, not all the photons emitted or scattered from that object found the substance transparent, some photons were absorbed and some reflected, processes which increased universe entropy. You will not find a transparent substance in nature without such attenuation increasing universe entropy. You asked: What is your hypothesis and how (in your own words and with your own computations) does it explain Earth’s surface temperature? I have no hypothesis, I have observations. Few will deny, I assume, that the Earth’s surface temperature commonly daily oscillates between a minimum and maximum temperature unless a very unusual weather system moves over a localized portion of the surface. Few will deny, that the range of this oscillation is commonly greatest if the sky is cloud free during the entire day. Again, I must qualify this by the assumption of there is no ‘weather system’ moving through the region. To better define the weather condition which might significantly alter a daily temperature oscillation from that of the day before and the day after, it is any condition that prevents the range of the daily temperature oscillations from being within a degree or two of each other for three consecutive days while the skies appear cloudless. Given these conditions, the minimum temperature of a day occurs after sunrise and after which the incident angle of the sunlight becomes great enough to begin warming the surface (here I assume a land surface) which in turn begins to warm the atmosphere. Here I must qualify this a bit because water vapor does absorb portions of solar radiation’s invisible IR portion. So I do not discount the possibility that the atmosphere is directly heated by solar radiation but the major heating of the atmosphere whose temperature has been generally observed and often referred to as the Earth’s surface temperature by the surface being warmed (heated) by the direct absorption of the solar radiation and the surface in turn warms (heats) the atmosphere above it by the radiation, conduction, and convection energy transfer mechanisms. The common result of this heating is that maximum air temperature of the day occurs sometime after midday. Often it is stated that the maximum temperature occurs about 4 hours after midday, but during the winter at higher latitudes the sun might be setting or have already set 4 hours after midday. I qualify to extreme to head off any quibbling about details that could distract from my main intent. And I will cease this practice at this point and assume no one will be tempted to quibble. So I do not believe I am stating any unique understanding of this daily temperature oscillation when I summarize it as the sun heats the earth surface during the day and the earth surface cools by radiating energy to space during the night. But I hasten to state that the surface is radiating energy to space during the entire 24 hour period of a day, it is just the surface begins to cool when its rate of energy emission exceeds its rate of energy absorption which dramatically decreases as the sun sets and the surface is only ‘illuminated’ by twilight and any downward radiation from the atmosphere. Please note I make no statement as to what happens to this downward radiation from the atmosphere. This to avoid any quibbling at this point. Roy, performed an experiment in which he observed the cooling of water in open insulated coolers during the nighttime. I was amazed by the rate of the decrease of the water’s temperature observed. I was amazed because I expected the water to have a significant thermal inertia which would decrease the rate of its cooling. Roy stated he believed this rate of cooling primarily the result of evaporation and suggested that the open coolers should be covered with a thin polyethylene film to ‘prevent’ the loss of water vapor (hence to eliminate the evaporative mechanism of cooling) from the cooler. To date he has not reported any future experimentation. But I did as he suggested even though I could not simply monitor the temperature of the water in the cooler as he did. Almost immediately, water vapor began condensing on the bottom side of the film. And it could only condense if the latent heat of condensation was being removed from the cooler. The possible cooling mechanisms of the water in the bottom of the cooler were still evaporation, radiation, conduction, convection (horizontal breezes, more about this later). Roy never defined the volume of water in his coolers. Which would be factor in the thermal inertia of the water (my issue). I had poured two one-gallon milk jugs of water into my coolers. It was easy to see that I could eliminate any evaporation by keeping the water in the jugs and capping the jugs. And I happened to have a xxxx which my son-in-law had bought at a garage sale for almost nothing. Its temperature probe tightly fit the hole I drilled into one of the jug’s cap so I had an high quality digital instrument which displayed temperature to the thousandth of a degree and that also displayed maximum and minimum temperature of the preceding time period. And because of the probes cable, I could tightly cover the cooler with a polyethylene film. And I hurried to assemble this system because record setting temperatures were predicted to occur in a few days. And they did occur. However, the cooler with the ‘water’ jugs was only part of my observation experiment. For a number of years I had, from time to time, been observing downward radiation from above, with a simple, inexpensive radiometer, constructed according to the design of a simple, economical balloon-borne net radiometer net radiometer which V. Suomi, D. O. Staley, and P. M. Kuhn (SSK) designed, constructed, and tested. (Quarterly Journal of the Royal Meteorological Society, vol 84, No. 360, Apr. 1958, pp. 134-141.) One reason the radiometer was simple and inexpensive was that the temperature of its absorbing-emitting (a-e) surface was directly observed. So it was simple for me to use a digital food-grade probe thermometer to observe the temperature of its a-e surface. So, during a period of several weeks, I observed the daily temperature oscillation of the water in one jug (assuming the water in the other should be the same since both were side by side in the same cooler), the daily temperature oscillation of the radiometers a-e surface, and the daily temperature of the environment of my backyard as observed by a wireless sensor hanging in the shade of a pine tree. Also available are the hourly temperatures being observed by the NWS about 3 miles away from my backyard. And I also visually observed the sky which was often reported by NWS as being clear when it clearly was not. This because any cloud cover above 12,000ft is not reported. At midday, the temperature of the a-e surface peaked in the neighborhood of 180oF. The neighborhood because it changed a little from day to day, clearly because of changing high level sky conditions. But this is a separate issue than to explain the temperature of the earth’s surface which I conclude can be done by observing the temperatures a daily temperature oscillation. The water temperature peaked about 4hrs after midday. However the setting was not ideal because our two-story home began to cast a shadow on the cooler shortly after this time. But there was a brief period of cooling. Another factor is that the cooler also shaded the water jugs somewhat during the entire day. Again, this detail is not important. On the day, 7/30/15 at Salem OR, when the record temperature observed by the NWS at the airport was 105oF, the maximum temperature of the water was 118.5oF, the maximum temperature of the backyard environment was 98oF, and the maximum temperature of the a-s surface was 189oF. The minimum temperature of the water the morning of this record day was 76.2oF and of the a-e surface was 55.0oF and of the environment was 64oF. The minimum temperature of the water the morning after the record day was 78.9oF, of a-e 56.9oF, and of environment 66oF. Regardless of which way one calculates the daily maximum-minimum ranges (one due to warming by the sun and the other due to radiative cooling) of the various temperature oscillations, the ranges are approximately 133oF a-e, 41oF water, and 34oF environment. One can look up the NWS data to find their environment range. At the same time I consider these observations critically important to explain the earth’s surface temperature, I do not consider them worthy of publication because one can routinely find, if one looks for various locations at various times, environmental ranges even greater than the ones observed during a near 24hr period. So, relative to explaining the temperature of the Earth’s surface, there really is nothing new. However, I am still amazed that the range of the water oscillation, without any evaporation, was significant greater than that of the environment. It would seem to be related to the heating-cooling of the ocean surface. And relative to the greenhouse effect, the maximum temperature of the a-e surface, with its low thermal inertia, should be compared with the temperatures (at various latitudes) of the moon’s surface which has a 1-2cm insulating surface layer which creates a low thermal inertia for its surface, hence extreme and fast response to intensity of the solar radiation. Of course, the diurnal periods of the earth and moon are drastically different, so that is a factor also. There is much which can be seen that generally has not been considered to in considering the earth’s energy balance system. I would like to have seen the corresponding weather fronts with pressure changes and positions and tracks of the low and high pressure points. What has happened to your article on the Obama lies,it seems to have been pulled ? Go back to this comment. Would love to see satellite data that reveals events in biblical times? Please provide a link. I can’t let this rather extravagant statement go by. Study the atmospheric temperature plot and think again. Or, if you like, I Will show you where you are wrong. mpainter – Dr.Spencer’s test data linked 7:31am clearly show those results when the cirrus come into view after 1:30am. Absurd notion that clouds can increase water temperature. No such result is shown by data, no such result is supportable in theory. You have AGW infection of the intellect. The unshielded tub of water was cooling faster than the shielded tub and when clouds moved in the rate of cooling of the unshielded tub slowed down (which is the only thing GHE is saying, the GHG’s will slow the rate of cooling and with an influx of energy the system with GHG will end warmer than the system without…Earth vs Moon surface temp). The black line trended down when cirrus came into view. The water in view of the cirrus temperature demonstrated by test ~+0.1F HIGHER than control water in this time period due absorbed, added IR energy from the clouds – this would not happen if no clouds & clear sky. A higher temperature indicates warming. See the exact words in the top post title, answer is yes – by test. This is not hard guys. Just 1LOT. Please look at the graph above the one you are using (which is a temperature differential graph). The actual data shows that both tubs of water keep cooling with or without cirrus clouds present. Look at the gray line in the actual measured values. The temperature of the tub of water is 74.5 F before the cirrus move in but IT KEEPS DROPPING the whole time to 72 F at the end of the experiment. There is not time when the water in the tub is going up. The graph you refer to is showing that the rate of cooling of the exposed tub is now cooling slower once cirrus shows up but it is still cooling (just not as fast). I believe you are wrong on this one and maybe you should look at the top graph again and demonstrate where you see any warming in either tub. The reason you are missing this is because the second graph you are using still has both water tubs cooling. Now with cirrus above the unshielded tub is cooling at a slower rate than the shielded one but both are cooling. You state: “A higher temperature indicates warming.” There is no higher temperature it has still cooled 2.5 F over the time cirrus moved in to end of test. Mpainter is correct on this. Relook at the graphs. Primarily look at the actual temperatures measured. mpainter – I can see you aren’t ever going to come to grips with this test of Dr. Spencer’s, needing to protect your politics – while at least Norman is trying a little harder. Understanding the science really is not that hard mpainter. Basic 1LOT. Consistent with 2LOT. In fact, you have no science. You cannot even show “an increase in water temperature” which you falsely claim in the data. There is a 0.1F increase in water temperature due “The relative faster cooling of the unshielded cooler was slowed when high-level clouds moved in around 1:30 a.m.”, indisputable evidence (replicated by many others) so the ref. in the booth looking at the graphic evidence changes your on field miscall. Strike5, still confused about science and politics and which is which, I see. And still no data to support your bogus claim of a temperature increase in the coolers of water. Can’t read a graph mpainter? No comment with test data to back up mpainter counterclaim? I get it. Just comment politics as usual. Actually this is not that hard mpainter, IF you apply yourself. Strike6, my mistake was in crediting you with normal intelligence. I will not make such a mistake again, I promise. In fact, you are desperately trying to convince yourself that never could you be so stupid as to attribute an increase in temperature to a curve that shows the opposite. mpainter – U-huh. More political assertion, no science data. Ok mpainter, fill me in using the test data. 1) How does exposing Dr. Spencer’s water sample to absorbing added IR energy increasingly decrease thermometer water temperature instead of slowing its cooling to achieve a higher temperature than control by 0.1F and 2) how does this data show a decrease in the cirrus exposed water temperature over the control sample both of which are monotonically (ex-noise) decreasing all night but at different rates? And in his describing that specific data from the black curve why is this Dr. Spencer statement verbatim clipped actually then wrong in mpainter opinion? Why in mpainter opinion does an IR thermometer aimed at a cloud register a lower (decreased) brightness temperature than that same thermometer directed at nearby clear sky (night or day)? It doesn’t. Why is mpainter’s opinion opposite to all Dr. Spencer’s test data and my test data? It is incorrect based on data. Fill me in mpainter. With science data. Not (rather poor) political assertion. It is always possible (nonzero chance) mpainter can make news and show a grand new discovery. No temperature increase but only a steady decline is shown in the curve. You double down on stupid for seven times in a row. I have no doubt that you will make it eight. No answers huh mpainter? I expected nothing less. You do not have any answers. Try not to live up to all my expectations next time. Except for noise, the grey curve and the red curve do indeed monotonically decrease in temperature mpainter – you get that right, both water samples are shown generally cooling all night long. Note the red curve above the grey curve about 1hour after the start mpainter!! Can you read the graph? At any later point in time, the red curve is above the grey. This means for those of us can read a graph, red curve water thermometer at all times indicates a higher temperature than the grey curve thermometer. ….a HIGHER temperature…!!! How can that be since mpainter writes ” No temperature increase…”. I have to believe no means NO!! Here we have two nearby water samples starting at same temperature and now red has a HIGHER temperature than the grey. Interesting & confounding for mpainter. Why then are red and grey curves not overlapping since if no temperature increase there cannot be any area between the curves mpainter. But there is an area there for all to see! A difference shown more clearly by the black curve which increases then suddenly about 1:30am starts a dip for some added cirrus incident radiation, back up as cirrus goes by to clear night time sky again, then down again as cirrus reappears in view. Want to try again mpainter? Any questions; any answers? Try not to live up to all my expectations. You vociferate against a curve as if you can make the curve show what you want it to show. But, no increase yet. I’m curious to see how long you go on before they put you in a straight jacket. No science answers huh? The increase over the control water in the data is shown by the black curve trending down. Learn to read a graph, please. That’s a very basic skill for this science. Even politicians such as you “get” the slope of polls. Norman – Of course both tubs are monotonically cooling – it is night time! see the air T? The developing cirrus added IR energy to one of them driving it 0.1F higher (warming it) over the other over the period of cirrus visible time noted. A higher temperature than the other (indicated by the difference black line) indicates the tub underwent a process adding energy from the cirrus; by 1LOT water temperature is then found trending higher than the other. Again, this is not hard. The slower cooling MEANS one water will have a higher temperature at any point in time than the other (0.1F max in this test). Thus demonstrating energy was added by the process involved with cirrus clouds over the process of clear sky. So, again, yes, by test. I have done similar tests. They have been available in the literature a very long time. Norman 2:15pm – You are thinking correctly. Not quite coming to grips yet though. I mean energy & net energy. The clouds added energy-in is greater than the energy-in from the clear night sky in their place earlier in the night, before about 1:30am. Just look where the black line trends down at the end & you will see the data. “The relative faster cooling of the unshielded cooler was slowed when high-level clouds moved in around 1:30 a.m.” Data from the black line graph is the difference. Yes. It does, as in this case the cirrus forced the temperature up only 0.1F over the control water after about 2hours. In this test roughly by eyeball 72F to 72.1F grey line at 5:52am. So modifying your words to this test: “If the water was 72 F warming to me would mean it is now 72.1 F.” And it is. As is shown by the data. The water sample in view of the cirrus increased in temperature from 72F to 72.1F as the data shows, what else would you call an increase in temperature? The temperature did not stay declining the same as the control sample after the cirrus, the rate of decrease slowed, increasing the water temperature by 0.1F from the added cirrus energy. Warming the water above the temperature of the control sample 0.1F by this added energy just like turning up a stove burner on the water sample. I will have to continue to disagree with you and your conclusions. You are looking at a jagged graph of temperatures and making conclusions based upon this (you see a 0.1 F change at some point and believe it means the cirrus clouds are warming the water). You are correct that the First Law of Thermodynamics would not be violated by having a colder body warm a warmer body but it would be an absolute violation of the Second Law. One of the reasons the law was developed. Scientists noticed not just energy is conserved but also a cold body will never warm a warmer body, heat will always flow from hot to cold. Maybe you should ask Dr. Spencer about the reason for the jagged graph lines. The measurements are in an open system with other things going on. The air temperature actually goes up a few times during the series of tests, the water in the tubs is not at a uniform temperature as things are changing. You can get warm or colder spots and then small currents or eddies can work to correct the imbalances (cooling rates even in a tub can vary so I would not use a super small change in a measured value and form this conclusion that now the Second Law of Thermodynamics has been violated). At no point does the unshielded temperature rise above the shielded one. If you set up an experiment where all the energy of the tub is returned, instead of partial, the temperature of the tub will not increase. It will stay the same. The only way any cloud could warm the water is if the cloud temperature was warmer than the water below. I will continue to disagree with your points and conclusions. I do not believe they are valid science and I think you misusing the graphs and what they show to try and prove an invalid point. No violation of 2LOT in Dr. Spencer’s test Norman despite the red curve having a higher temperature than the grey, you aren’t going to repeal 2LOT with this test. The added energy from the cooler source (cirrus) increased the energy in the warmer water sample which is the whole point of Dr.Spencer’s test (see the post title). Heat doesn’t exist in nature* so cannot flow anywhere Norman. Energy exists, so energy can flow. Energy flows from the cooler cirrus by radiation and is incident on and absorbed in the warmer water since the water and foam cooler are not transparent and they are not 100% reflective. Those LW photons born in the cirrus then die in the water and the foam cooler AND some photons do live on by being reflected. If you bring those clouds closer in and make them higher RH, make the nights longer, reduce the water, who knows? *Bottle up some heat in a test tube and show us Norman – if you think heat really does exist in nature. I am using the term “heat” correctly. There is actually heat flow from Hot to cold, that is what heat is defined as in thermodynamics. “..it was the careful experiments of the Englishman James P. Joule (1818–1889) published in 1843 that finally convinced the skeptics that heat was not a substance after all..
Conduction is the transfer of energy..
Convection is the transfer of energy.. Wherever that book writes “heat” simply substitute “energy” (in SI joules) and your understanding of the discussion topic will improve substantially. Energy in – energy out = net energy (all in SI joules). “Heat” is just not ever needed, just an ancient, confusing term from pre-1843. Your posts are getting painful to read. Are you messing around? I hope you are not serious with your current understanding of heat and its use in thermodynamics. No one here is claiming “heat” is a substance. Where is this coming from? Many years ago they may have thought that. I am not proposing this at all. It is defined in thermodynamics as the ENERGY that is transferred between two systems (or a system and its surroundings) by virtue of a temperature difference. For application of thermodynamics in engineering you need this form of energy transfer and the equations that go with it. Energy IN – Energy OUT can work to let you know if an isolated body is warming or cooling but it won’t help you build working heat exchangers. To make sure you have a good design you need to know how heat will flow from the hotter to the cooler. How fast, the rate, or you will be hopelessly lost. The energy transfer between two bodies of different temperatures is how the word “heat” is used and it is certainly not that confusing. Norman makes the assertion heat can flow from a hotter object A to a cooler object B. Yet Norman acknowledges heat is not a substance. Thus body A has no heat in it, nor does body B have any heat in it. Yet this heat somehow flows according to Norman (from A to B) when they contact despite no heat substance existing in either object. Resembles paranormal heat teleportation. Fantastic, is it not? In nature, energy transfers Norman. Just as written in the text book that you clipped. So many people have talked and continue to talk about heat as if it were a substance that by hook or crook a corporeal form for heat must be invented merely in order to save appearances. The extraordinary effort is just not necessary Norman, substitute energy when you see the word “heat” and check the physics logic in context from there. Ball4 I think you might want to check up on your thinking ability and reasoning. It is very poor with your last post!! How can’t you read a simple sentence and comprehend? What part of what I wrote to define heat are you unable to comprehend? Read this. Heat is not a substance, it is energy but it is used in thermodynamics to specify a type of energy. There are many forms of energy (thermal, electrical, chemical, kinetic, potential, nuclear). Heat is a specific type of energy! Please read what is written before diving into the deep end! I even all caps the ENERGY. Heat is energy in motion but a specific type. Heat flow is equivalent to energy flow. Read the definition of heat in this link please! Incorrect, energy flows. In this way energy flows through a solid by conduction. Radiation transfers energy and not just from hot to cold as Dr. Spencer’s test demonstrates since data shows the transfer of energy from a cooler object can slow the cooling of a warmer object changing its temperature. I’ll admit this is irreverent. I’m pushing to increase Norman’s depth of understanding. All of us can benefit from such a push, many professors pushed me, gotta appreciate ’em. Thank a teacher today. I understand Dr. Spencer’s experiment much better after being pushed to look into it more deeply. Norman – Consider two of Dr. Spencer’s water samples. Both starting at 80.5F. Subject one to process A and one to Process B. After some time one sample is at 72.1F and the other is 72F. Similar to his curves. One sample IS warmer than the other at the thermometer. Process A: I turned on a stove burner and warmed up one sample to 72.1F from 72F. Process B: I put one doubled up cooler into yet another 3rd similar foam cooler and find that sample at a later time 72.1F warmer than the other at 72F. Do you still agree with your “only way”? One sample I heated up and the other I slowed its cooling but you would not be able to tell which one at the end of the test simply from temperature. Note for Process B: I could add 6 W/m^2 from a cooler source incident on the warmer water sample from above and achieve the same 72.1F by slowing its cooling. Making it warmer than the other sample at 72F at same time point. No 2LOT violation, universe entropy increased. Relative to Roy’s experiment during the night of June 29-30 that you discussing, Roy stated: “I’d like to try this again when the air mass is not so humid (surface dewpoints were in the mid to upper 60s F). Also, putting Saran wrap over the water surfaces would eliminate the primary source of heat loss – evaporation.” To my knowledge no one except myself has commented about this or the fact that his air temperature data, also shown in the graph to which you have been referring, shows the air temperature decreasing from 80F at 7:21pm to 75 at 8:51pm to 74 at 10:21pm to 73 at, say, 11:59pm to minimum of 72 at 4:21am the next day. Can you explain the sudden decrease in the atmosphere’s cooling rate after 8:51pm? I would very much like to read your responses to this question. And while Roy has not reported the results of any further experimentation, I have as reported on this posting of Roy. Not enough meteorological data to explain it. I would speculate from casual experience maybe a warm summer evening breeze kicked up on & off for about an hour. Jerry, pay no attention to Strike3. He understands nothing. You can answer your own question with a clock and a thermometer. The rule is that temperature drops most rapidly during the last hour of the day on clear days, then slows down after dark, slowing even more as the dew point is approached in the am. I estimate sunset on the day of the experiment at around 8:25 pm. Check this out yourself. Remember: clear days. jerry – Go here for the data ref.d by Dr. Spencer for 6/28/15 at Goodwin Creek. Click on down welling solar, down welling IR, upwelling IR and air temperature. Find mpainter is reasonably correct (other than the politics) with the knee of the air temperature curve roughly the same time as Dr. Spencer’s location around 9:00pm or so. End of down welling solar was around 8:00pm. This data detected little to no night time clouds as did Dr. Spencer’s water data detecting the cirrus a night later. Note the daytime passing clouds made down welling solar vary appreciably. See that effect in upwelling IR and air temperature also. I would say it’s sort of like Venus at it’s terminator. It is supposed that if one were at the Venus terminator, as the global wind whip around towards night, that one could hear the sky fall. One doesn’t hear during all night, but rather at a certain time period at the terminator. It would be nice to actually put a balloon probe in Venus atmosphere to hear this. But whatever sound one could hear whether it’s whisper or deafening roar, is due to the massive Venus atmosphere and that one is traveling with the wind at a fast speed [you and the wind is going 200 to 300 mph]. Of course if you sent a probe and didn’t hear it, or it was not very loud, it could be disappointing. Thank you both for your information. How would you explain this rapid rate of decrease during the hour or so before sunset? I think it has to do with insolation and the angle of the sun. Of course, topography and trees, etc., play roles and so this effect will vary from location to location. At a flat, treeless location it could be different. I believe Huntsville has hills. Just a question: Would the 2nd Law be violated if the cold cirrus was merely scattering that emission of the warm earth surface back toward the surface? Can’t see why it would. Suppose one were to replace the clouds with a huge mirror. Suppose the mirror only reflects what the clouds could reflect, but it does a better job because it’s a uniform surface. So same wavelengths reflected, but one could assume more is reflected. Or one could say more reflected as compared to scattered. So to make this mirror, one would need to know what wavelengths and/or what light [and from where] could be reflected or scattered by the clouds. one way to do this is make a mirror which will reflect as close to “everything” as it can, then see what it reflects. And from that subtract what the clouds couldn’t reflect or scatter. So you get this massive and near as you can to perfect mirror and put it in same elevation as the clouds. Say had this huge floating mirror and you tilt it at various angles in relation to ground. What angle would reflect the most and the least? I agree with gbaikie. I would not see how this would violate the Second Law of Thermodynamics. If you took a bowl of hot soup and enclosed it in a vacuum mirrored sphere that reflected all the outgoing energy from the soup back into the soup the temperature of the soup would not increase but stay the same. A violation of the Second Law would be if the mirrored sphere would get colder and the soup temperature would increase above its original temperature. If a colder object can warm a hotter one that violates the Law, a mirror can send energy back to keep the object the same temperature for relatively long times. THAT violates 2LOT. Not going to happen in nature. I am not sure what you are claiming is a 0.1 F warming of the unshielded sample (gray line). Are you talking about the jag near the end of the test because if you are then look at all the graph, you see these up and down jags even when no cirrus are present. If you cook two dishes of the same item and remove them from the stove at the same temp, take one and put it in an insulated container, let the other one sit in ambient air temp. The one not insulated will cool at a much faster rate than the insulated container but there is no way you could claim the insulation was warming the other container because it read a higher temperature than the non insulated container. The insulation slowed the cooling rate but it did not add energy to the container in it. I think it is a problem of terminology of what you call warming. Hence causing the insulated plate to be warmer (tested higher temperature) than the control plate just like the cirrus slowed the cooling rate for Dr. Spencer’s water. You are getting closer with this description. Reducing the energy out (of the plate, water) increases the net energy just as does increasing energy in, wherever that energy is absorbed from, the temperature is thus tested higher at a later time above the control (plate, water) which doesn’t absorb the energy-in even though water,plates were always cooling. I think you have a logical disconnect in how you use word and apply their meaning. Not sure why? NO and WRONG! Reducing the energy out of a plate does NOT increase the NET Energy just like increasing energy in!! Please reconsider. You can defend you position to a point but making illogical claims is not the answer. If you are losing energy at any rate the amount of energy remaining will always be less than what you started with!!! IT IS NOT LIKE ADDING ENERGY TO AN OBJECT!! You do not have more energy in the object than the initial if the rate of energy loss is reduced from one state or another, it still has less energy than before. Breathe in and think about what your are saying and maybe you will see why mpainter is replying as he does. Sure it does Norman. Cooling all night but the difference was modulated by the cirrus as black line shows. Energy in up, energy out the same, net energy positive, an increase. Temperature proportional to net energy. Doesn’t matter if the net energy changed due reducing energy out (insulation) or increasing energy in (added 6 W/m^2). The temperature is changed vs. the control, up (or down if negative net energy). Not easy to see why this is so hard. It’s simple actually. Shouldn’t be controversial at all, it’s just Newton’s Law of Cooling as Newton stated it. Been around a loooong time, you know since about his 1603 paper. Dr. Spencer didn’t write that. I didn’t write that. Only Norman wrote that. I agree. Quote verbatim an illogical claim by Dr. Spencer or myself. Possible to make mistakes. Oops, missed by a century, possibly alcohol related, actually March-April 1701 Phil. Trans. of the Royal Society. Responding to your posts reminds me of “Who’s on First!”. If the Net energy is positive (now please forget about the other tub). Just deal with the unshielded tub. Is it gaining more energy than it is losing when the cirrus clouds move in? That is what it seems to me and others that you are saying. This is why Dr. Spencer needed to test two water samples Norman. Thank you for your explanation. But where do you get the unshielded tub of water gained 6 watts/m^2 when the cirrus clouds moved in? It may be a flaw in the way I process words and what you are saying is very clear and precise. I just don’t quite what content you are making. I really do not know where you pulled the 6 watts/m^2 from in your quote. The way I would state the process is that the unshielded tub of water was losing energy at this rate x before cirrus clouds and the shielded tub was losing energy at rate y. Before cirrus clouds rate x was greater than rate y (both loses). After cirrus clouds rate x was less than rate y. Both kept cooling but the unshielded tub cooled at a slower rate so the temperature differential was not as great after a time period. No warming ever took place during the time of the test. Only change was the relative cooling rate between the two containers. The shielded one cooled at the same rate during the night, the unshielded one cooled slower when cirrus clouds moved in. I think the way you are stating it still causes a lot of confusion, at least with me it does. Like I said, the problem could easily be with me. Dr. Spencer’s estimate. Clear night sky there was 0 energy radiated from cirrus. Dr. Spencer’s reasonable est. 6 W/m^2 radiated from cirrus then added energy in so water gained some absorbed photon energy but still net energy negative so still cooling, gained in temperature of 0.1F to 72.1F over the non-viewing water at 72F, both still cooling after about the last 2.5hr.s. One water was increased in temperature to 72.1F with cirrus over what it would have been with no cirrus in view 72F. Due the absorbed photon energy gain from cirrus that slowed that water’s cooling as you write. I will have to disagree with some of the statements in your last post. Energy was not added to either tub because of cirrus clouds overhead. If you mean NET energy. Both are still losing energy. The energy gained from the cirrus clouds is still less than the energy lost by normal radiation, evaporative and conductive losses. The Infrared radiation is not warming a warm body unless I misunderstand what you mean by warming. Warming would mean its temperature is increased and that is not the case. Slowing the cooling rate is not equivalent to warming and if you use it in such fashion it is likely to produce confusion to anyone reading your posts. Warming, to me, I could be wrong always indicates a rise in temperature from a previous state. If the water was 73 F warming to me would mean it is now 74 F. I would not call warming a state where the temperature dropped to 72 F instead of 71 F. I would call it what it is to keep things very clear. It is still cooling but at a slower rate. It is not WARMING. The temperature is not going up. I think your word choice is generating this current debate. You call a slower cooling rate a warming phenomena and I would not call it such. Norman you prove correct in any two-way energy interchange between cool object (A) and warm object (B). Cool object (A) cannot increase the net thermal energy content of (B) which must as a result COOL! The problem is one of INFINITESSIMALS. In any finite time period warm object (B) looses more energy than cool object (A) can replace. Ball4’s issue is one of HYPOTHETICALS. He argues that warm object (B) will have a higher temperature at the end of any given finite time period if cool object (A) is around than if it wasn’t. No one argues this point. However, the observation remains that warm object (B) looses thermal energy in any given finite time period whether or not cool object (A) exists. Cool object (A) hasn’t prevented this FACT from occurring. Actually, I will argue the point to the following extent. Cool object (A) sending long-wave, low-energy radiation to object (B) does not in any way raise it’s temperature it merely replaces radiation lost of the same wavelength or as Doug might argue portion of the Planck curve. Therefore at the end of any given finite time period warm object (B) may have a similar temperature whether or not cool object (A) exists if it hasn’t emitted it’s entire store of internal energy emitting at cool object (A)’s wavelength. Not hypotheticals, but false claims, as when he claimed a temperature rise for the unshielded cooler. When I pointed out to him that there was no such rise but only continuous cooling, he continued to insist that the temperature had risen. Instead of accepting the correction, accused me of engaging in politics instead of science. He still mutters political slurs at me, as when I correctly answered Jerry’s question above at 12:24. Incorrectly pointed out. The black line trending down indicates an 0.1F temperature rise over no energy incident water in the time period (72F to 72.1F) from the added cirrus energy incident on test water sample. Remember: “Radiation is the transfer of energy…”. Right though, not hypotheticals, the test showed the actual natural data. Yep! He appears stuck on “rise” even though the temperatures for the most part fell. He appears to believe the covered tub’s temperature rises relative to the uncovered tub even though temperatures for both tubs fell because the covered tub retained thermal energy and temperature longer than the uncovered tub. The fact that neither data set (covered or uncovered) shows rising temperatures doesn’t seem to daunt him though! JohnKl – ”The fact that neither data set (covered or uncovered) shows rising temperatures doesn’t seem to daunt him though! I think Ball4 is stuck in some type of incorrect logic but his ego will not allow him to correct his error and move on. All can make mistakes. If Ball4 can see his error in thinking it will do him well to correct it and move on. I pointed out to him that the unshielded tub continued to drop in temperature even after the cirrus clouds moved in but his thinks it warmed up. Not sure why he continues this belief. Norman – Use my words not yours to convey my logic. Both tubs cool all night long during the test. When the cirrus show up there is a slowing of the cooling in the one tub over the control, the black line trends down as its net energy is increased from cirrus ~6 W/m^2 energy-in. Energy in up 6 W/m^2, energy out the same, net energy increased. Temperature proportional to net energy. There you go, your own words. Please note in all the temperature data sets one can find small upward temperature blips. These blips comprise a small fraction of a degree centigrade and get quickly removed by the descending temp line. Imo, these upward blips can have nothing to do with cool objects warming warm ones since all the data sets have them and other causes exist in he environment to affect tub temperature. It should be remembered that while Roy’s experiment seems well designed to illustrate a point, it’s not some tightly controlled experiment out of Sandia labs. Environmental stimuli or heck even thermometer glitches can effect the final graph outcome. Ball4 sometimes seems to read FAR too much into very little information and makes absolutistic statements based on his perceived word definitions. Such as when he suggested earlier in the thread that no substance can be transparent without violating the 2LOT!!! If one re-define terms one can convince themselves they’ve made a great point but it doesn’t help in terms of clear communication. mpainter – Very good. All words supported by Dr. Spencer’s test data. Your point is…? Please note the persistent trend in the black line temperature data set; downward indicating the absorbed ~6 W/m^2 energy from the cirrus increasing the temperature of the water sample in its view over that of the control sample not in its view by 0.1F. This stuff is not that hard JohnKl. Please explain then how your asserted process, if transparent, increases universe entropy. And provide the test data or a ref. supporting your conclusion as did Dr. Spencer. Hint: You will need to find a transparent substance that doesn’t attenuate the incident signal. My point is that you are on record for claiming the data shows that the temperature of the water in the unshielded cooler rose when in fact the data shows the opposite. 1. Reiterate his spurious science, confusing a differential curve with actual temperature. 2. And/or attribute political motivation to me. 3. And/or crawfish with pseudoscience gobbledygook about “monotonic cooling”. Dr. Spencer’s data shows: one water sample is 72.1F viewing the cirrus above 72F not viewing the cirrus after 2.5 hr.s ending 5:51am. What does mpainter 5:57am write the data shows? Yes, I stand on that. What do you know about clouds? You are on record saying that cirrus clouds are water droplets. Clouds do not “increase water temperature with depth” . Only the most rabid AGW types make such a claim. That seems to be your problem. mpainter – Sure, politicians can ignore test data and call the results absurd. Scientists prefer to build understanding on those test results. Ice in a cloud is a frozen water droplet, emissivities are essentially the same. I consider you exhibit # 1 of how the AGW scientists achieve their resultz. By test. The results of which scientists no longer use “absurd” as do politicians. Nope. By invention. As in your invention of a temperature increase in the unshielded cooler. I have said it before and it bears repeating : The AGW zealots increasingly rely on fabrication to try to revive their failed AGW hypohesis. You are exhibit # 1. Interesting, you could have very well made your point about cirrus clouds without trying to pass off a fabricated temperature increase in the bargain. But you did not and probably could not, as the AGW imp that sits at the controls of your brain would not permit it. mpainter – You haven’t yet shown the grey curve is not 0.1F higher (0.4-0.3) due the added cirrus approx. est. 6 W/m^2 energy over what the grey curve would be without that incident energy situated next to the red curve water in the shade of the cirrus. As Dr. Spencer stated*. Nor have you cited any test whatsover supporting your political views. Science relies on test. AKA the science method; the political method you employ is something else all together. To enter into science, simply cite a test supporting your views. Very easy. Get going with that, try not to live up to all my expectations. You are a screwball who invents resultz contrary to the data. The data showed steady cooling but you will never admit it. Your science is fabrication supplemented by semantic squabbles. Nope. The data shows steady cooling, I’ve admitted that continuously. The black curve data also shows grey curve 0.1F above what grey curve would be with no view of the cirrus as shown by the red curve continuing on trend, which mpainter won’t admit. Also no other comment by mpainter is supported by test. Ever. Very good mpainter, clipping my exact words instead of another of your useless strawmen, so in part you did not live up to my expectations. Kudos. All my words agree with Dr. Spencer’s assessment* of the data, that the grey curve cooling trend slows when the cirrus come into view (are detected) by the cirrus added radiated 6 W/m^2 of incident LW energy on the grey curve water, shown by the comparison to the red curve cooling trend not changed as it’s not in view of the cirrus – all by the black curve. mpainter has not ever been able to read this simple fact but with more study and applying oneself to science not politics, I believe can overcome that lack of ability. That mpainter persists in such a wrongheaded unscientific view disagreeing with proper test (calling it “absurd”) must mean Dr. Spencer’s test disrupts political views to the core whereas I have held to the science tests consistently as shown by my word clips. NB: mpainter – You may not have noticed but Dr. Spencer has constructed a good but inefficient cloud detection device using their added LWIR incident on a water sample. There are more efficient devices at the NOAA ESRL link I provided above. These devices all detect clouds by their LW radiation being different than clear sky LW and solar SW. Your political view is simply wrong headed. You would need a counter test to even begin to write with science information worth debating. Actually, the statement proves hypothetical based on the tub data you cite from Roy! The first 30 minutes to almost an hour of the experiment shows the two tubs at approximately the same temperature (19:21 – 19:51 – 20:21). So the tub temperature differential depends on the time period selected. Moreover, the temperature data LACKING ANY OTHER ALTERNATIVE EXPLANATION AND/OR INFORMATION GIVEN appears to indicate that the sheet slows the cooling of the sheet covered tub, a conclusion which very likely may be correct. However, having not witnessed the test ourselves directly other alternative explanations may exist. Here’s one 2.5hr period showing an observed T increase over control from added energy-in mpainter isn’t accomplished enough to yet discern. With study though, mpainter has every possibility to improve his science accomplishments. Well, sure, there could be hidden wires adding energy so to make the outcome per Dr. Spencer’s view or even the picture could be photoshopped, the data simply made up. However, I have done similar testing and found the same conclusions from reasonably precise, calibrated instrumental measured data as Dr. Spencer. The same conclusions are drawn from many different author’s tests and have long been in the literature. The probability of gross incorrectness in Dr. Spencer’s test and conclusions appears extremely remote. Still, I am always alert for misrepresentation & assertion. The more times you see an explanation of a physical phenomenon or a statement about physical reality like “heat” having corporeal existence so it can transfer between objects, an almost invariable mantra, especially in a textbook or blog comment unaccompanied by any qualifications, the more certain you can be that it is wrong. Stated more succinctly, repetition increases the probability of incorrectness. This is a law of almost universal validity. On blogs, many say Clausius, Maxwell, Joule, Newton et. al. said “something” but use their own words not the originals. A textbook tracking back to originals is to be treasured. Yeah! like the fact that both data sets show COOLING! Please re-read the post I never claimed the cooler objects created the upward temp blips, quite the opposite. Yes, I do understand that you meant to compare to different datasets to show temp rise, but as has been shown that’s not what is going with each tub. Radiation from cool object (A) merely replaces a small portion of radiation lost by warm object (B) within it’s shared frequency (area under Planck curve, etc.) emission range. My definition of transparent differs from your purist re-definition. In any case, I made an observation not a claim about process. As I mentioned transparent does not mean that a medium does not affect light radiation passing through it. In part because neither water sample is transparent, purist defn. Please note both datasets (shielded and unshielded tubs) COOL! As you indicate the graph depicting the temperature differential between the two datasets shows a rising differential until peaking around 3:21pm at which point the differential declines as clouds roll in. Why would I want to improve on Dr. Spencer’s statement? Based on the information and apparent facts presented in the experiment I agree with his assessment as stated in the quote. 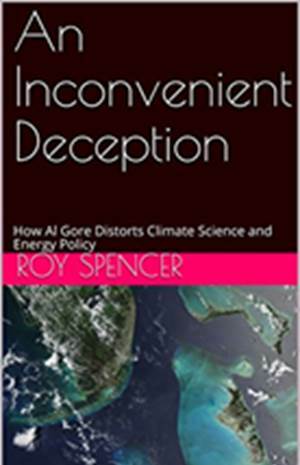 Are you prepared to admit as Dr. Roy has no problem doing that the temperatures did not rise?! Again, both water samples cooled all night as Dr. Spencer notes “both are cooling.” Due to the slowed cooling of the one in view of the cirrus as Dr. Spencer notes observing the 72.1F at 5:51am black line descending “the unshielded tub is cooling at a slower rate” since that one has a 0.1F higher temperature than the other control water sample at 72F. You haven’t explained that 0.1F higher temperature yet. You seem to lack reading comprehension. There exists no reason to improve the statement because given the information on Roy’s site I agree with it! Please review my last post. Do you often find it necessary to improve statements of fact? More will be stated later. The unshielded tub never has a higher temperature than the shielded after the temperatures have begun their descent that I observed. If such a time exists point it out to me I must have missed it. The BLACK LINE TEMPERATURE DIFFERENTIAL ASCENDS AND DESCENDS because the two temperatures move closer and farther away from each other but the unshielded tub never exceeds that of the shielded one accept possibly at the very beginning. JohnKl – I will try again. True, the grey curve never crosses above the red curve. That is one reason Dr. Spencer constructed the black curve. When the black curve starts its trend down something special occurred to make that happen. The cirrus clouds showed up, off&on, and added energy-in to ONLY the grey curve water sample, slowing its cooling. The difference to the other sample shows cirrus radiation slowed the gray cooling about 0.1F (0.4-0.3) in the 2.5 hr. time period up to 5:51am compared to no cirrus viewing or about Dr. Spencer’s est. about 6 W/m^2 added (up from clear sky). This was found from the two pools. The grey cooling would have continued the black line trend UP if no cirrus had occurred and the 0.1F would not be. The red curve allows the 0.1F to be found – it is the difference in the grey curve made by the added energy from the clouds. I agree that the red and grey lines might cross if their downward slopes changed relative to each other. This relative fact doesn’t change the absolute fact that their temperatures declined the entire time. Over time a change in the rate of emission for either or both tubs can effect their future temperature results especially relative to one another, but it doesn’t alter the fact that the entire time their temperature’s fall. In climate the only warming is transfer of energy from sunlight- though transfer of energy from interior of planet could also be considered [as other things like the energy released by an impactor]. So for example the flow of Gulf Stream is said to warm Europe- or keep it warmer than compared with not having the transfer of warmer tropical water to Europe. The warming of the Gulf Stream doesn’t make days warmer, instead it inhibits nights [and winter days] from being cooler. So in climate, warming is about keeping nights and winters from not becoming cooler. Or the subject of climate is associated meteorology, one has variation of temperature from one day to another and one is looking for mechanisms which cause days to be warmer or colder. The sun makes days warmer or cooler in terms of seasons, which the tilt of the planet, causes more solar flux to reach the surface. So in the Temperate Zones one has warming due to the sun- but other than seasonally effects, one does not get daily temperature variation because of the sun, rather it’s a transfer of energy from various causes. So clouds don’t increase the temperature, though clouds can make a night warmer- than it would be were there not clouds. An actual greenhouse does not increase temperature, it merely inhibits convectional heat loss, that would occur if it were not for the greenhouse being there. And there is a limit to how warm a greenhouse or a parked car with it’s windows rolled up, can reach. Solar ponds demonstrate what this limit is. With solar ponds one can warm the water beneath to surface to about 80 C. A solar pond might require a week to warm up to 80 C, but no matter how many days, it does not exceed it’s maximum temperature. So at night it can remain at 80 C, and during the day doesn’t warm up beyond this. Solar ponds are much better at preventing convectional heat loss than actual greenhouses or parked cars, though greenhouses or parked cars can retain their heat longer if one adds water to increase it’s thermal mass. Or barrels of water are used to prevent a greenhouse from cooling as much during the night. Or one could say barrels of water in greenhouse kept the greenhouse warmer. So believers of Greenhouse Effect theory could say barrels of water cause warming. Because we dealing with pseudo science- if you are excessively “generous”, soft science. Now I would say that the inventors of the greenhouse effect theory [whomever one wants to blame for it] didn’t start the idea that warming is not about actually increasing the temperature [which is only done by sunlight]. The term “global warming” at one time was used to mean, an interglacial period. People being people, tend to say something is a warming period, rather than a not as cold period. caused by mechanisms of global heat transfers. Or something to do with the oceans. You’re right, of course, and this is rather obvious. But there are AGW half-wits who claim otherwise. Indeed, some of the worst will claim that clouds increase water temperature. From a post way up you state: “Radiation transfers energy and not just from hot to cold as Dr. Spencer’s test demonstrates since data shows the transfer of energy from a cooler object can slow the cooling of a warmer object changing its temperature. Since you explained what you are doing I think it is okay to “push” people to dig deeper. Thanks for letting me know your motive. I was reading your argument with JohnKl about the definition of transparent. I would totally agree with JohnKl that water is transparent. I even think you could test this by running a spectrometer with a sample of pure water across all visible frequencies of light and I would be very surprised if you would see a change in current that would record a loss of light going through the water sample. Pushing JohnKl to dig deeper and look up the definition of transparent does not hurt anything. I thank you calling my attention to the NOAA link. While I should have been aware of the observations they observe and report, I was not. Since I claim to be an experimentalist, I was forced to study the basic instruments with which they make their observations. For options which could be graphed for a day were globe temperatures and case temperatures. After reading about the instruments involved, maybe I am not ignorant as before. But maybe only slightly less. I hesitate to comment upon this, but it took me a little while to recognize that when there is cooling, the net energy is a negative and even when you add to energy in, the net energy can still be negative and therefore cooling continues, although at a lesser rate. Do you think any dew condensed upon the aluminum shield? If so, on which side, top or bottom? I’ll try to push you later, but you should note if one takes seriously Ball4’s extreme re-definition of TRANSPARENT than no where in the universe can one find a transparent medium. Why? Well even in the near vacuum of outer space one may find distortion including gravitational lensing, just ask Einstein. Water refracts light rays that pass through it by slowing them down. As light passes through space objects can bend light rays via gravity. Poor Ball4 probably thinks the entire universe is a giant fun-house mirror designed to confuse purists! Well God does have a sense of humor. In any case, a word definition that has no empirical basis cannot have any useful purpose. Neither does Ball4’s definitional nitpicking. Norman – Water is transparent per the def. JohnKl looked up, one can see a clear image through water as casually observed. You can see the designs clearly on the bottom of a swimming pool. Still, looking at those designs you will always observe some reflection (scattering in the backward direction) of the image of your face. The water was not transparent to those face image photons. Signal attenuation is always at work either by absorption or scattering. Both of which can be assumed negligible at times but never 0.0. Even the container in which you hold the water will attenuate. Do the experiment anyway. It is possible the attenuation will not be detectable by modern equipment, tomorrow’s – who knows? Although a dew point might be accurate, cannot expect net condensation to occur exactly at this temperature, just a best guess. It will vary with horizontal and vertical plates, you may see dew on your overnight parked car viewing clear sky on only one of those planes at times. Back to heat and the meaning of flow. In many cases flow is used to describe a material substance moving from one location to another (which is how you use it). Please check out this long list of meanings for the word flow and pay particular attention to noun number 23. If you don’t want to look at the link then I will provide it here for you. I think your arguments on transparent are worse than ridiculous. If you read the proper definitions of the word “transparent” you will find they allow for some slight reflection, it does not change the use. Pure water is listed as a transparent substance. You can argue against it, write your own language but if you wish to communicate with people you really need to accept standard use of words. If you can clearly see through a material it is considered transparent. I admire JohnKl for his patience of your inability to understand the definitions of common words (like heat). The failure is only with you. Norman – There is no noun number 23. Can clearly see objects through it but that pure water will still absorb and scatter photons thus attenuate a light signal through it. Dr. Spencer’s test was designed to show the water absorption with data, in any language. Energy is far better language, more precise in science than rampantly confused heat. Many critical, informed authors use heat correctly, blog posters not so much. Train yourself to use energy instead of heat (heat is always replaceable with energy) and your blog posts will reduce confusion. You may be correct on what you write. Some posters I have read use heat interchangeably with thermal energy. In thermodynamics heat is only used to describe the flow of energy from one object to another that is based upon the temperature difference. My point was that I was using the term correctly and the use of the word “flow” in this case is also valid. But it may cause confusion as you point out. I think energy may also cause confusion though as some are not sure of the difference between bulk kinetic energy which is based upon the velocity of an object and the kinetic energy of molecules within the object (thermal kinetic energy) so on a blog I do not think any choice of words will completely eliminate confusion but I will try to use energy rather than heat if I continue to post. Thanks for the advice. Have a great day (you can make one to if you like)! Thx JohnKl, Norman – Possibly we have two more supporters for the long held (way before me) & mostly lonely crusade against heat as a noun & against the resulting rampant confusion. Is anyone else out there? Electric current has a substance that flows, water current has a substance that flows, but heat flow does not have any substance that flows (no one ever says heat current). Heat flow once had the caloric substance, but no more as no one could find any corporeal substance for heat, so caloric went out of physics along with the aether. Heat flow is just a confusing relic of a bygone era. I know, I know all the dictionaries & many websites/texts are up against this crusade, even MS & being up against Bill Gates crew is challenging to say the least. This is the law of error propagation in action. Someone logically long ago chose Q not H for the “energy transferred by virtue of a temperature difference” or “the non-mechanical method of energy transfer” in delta U = Q + W i.e. 1LOT. 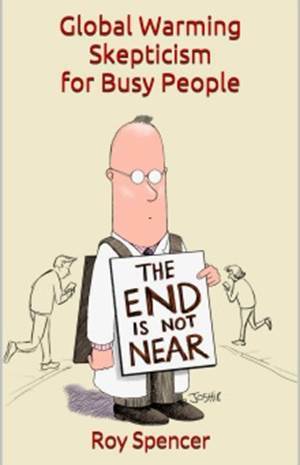 Advocate those longer terms (instead of Q as heat) – tortuous though they may be! The H was more correctly assigned to enthalpy. Imo, to clarify I think it’s always been the case that heat was considered an expression of energy along with work (kinetic) and potential and/or internal energy. As such it refers to the phenomenon by which we experience it. However, we experience the phenomenon and ensuing motion energy remains behind it all. Even normal mass (solid, liquid and gas) simply represents forms of energy. Energy itself remains elusive in that our sensational experience (phenomenon and motion) only hint at the force behind it, which we don’t experience completely. We recognize energy by our ability to measure work (kinetic) performed and/or ensuing motion/mutation. As such I’m not sure why HEAT should be anymore problematic a term than POTENTIAL energy. They both represent beliefs people have and labels people employ to convey what energy appears to be doing when not involved in some process common people recognize in their environment. It would as you’ve indicated be better simply to employ the word ENERGY and simply describe one’s model for how energy acts in some given system. JohnKl – PE has a lot of advantages in conserving total energy clarity vs. heat having no advantages whatsoever for clarity. I have searched, and stay on the look out, but not found one single use of heat needed in science to clarify a point. Heat term always lends potential confusions in science, after 1843. One of my favorite heat stories* happened in the mid-1750s IIRC. The practice of manufacturing cannons by the Austians to sell to the French to shoot at the Germans was developing new techniques to reduce expense, add to profit. One new technique evolved to turning the cannons in a bath of water to deal with the immense amount frictional high temperatures. That water would sometimes boil and that would draw a crowd of locals that had never before experienced boiling water without a fire involved. Here was a method to boil water without fire! This spread like mad and the crowds grew. They even thought it was free energy (though the locals probably thought about & discussed free heat), no more chopping wood for fires! Took a local famous scientist (like Dr. Spencer) to finally point out the team of horses out back in the traces turning chemical PE into KE powering the lathe. The locals shrugged, rubbed their hands together for warmth, and went back to chopping wood. But to this day, the locals remain on the look out for free energy. *From memory, I think this story was in Truesdell’s book “Tragicomical History of Thermodynamics 1822-1854” if you want to get the details. Thermo in those days was much like found on climate blogs today: major figures (commenters in discussions play out like) fools, braggarts, or incompetents. What an opera. The newly developed field of calculus was about to come to major figures rescue. Calculus was needed to predict the ballistic trajectory of the subsequent cannon balls – which explains the German and French mathematician’s intense interest in developing that field. “INTRODUCTORY REMARKS – In the science of Heat, we investigate those phenomena which are chiefly revealed to us by our sense of warmth or cold. We use the words “hot” or “cold” to describe the condition of external bodies which corresponds to the sensation we receive through our skin on touching or approaching them, and we habitually compare bodies with respect to the sensations so received, describing one as “hotter” or “colder” than another. Given several vessels of water we could with very little trouble arrange them in order of hotness, and we have a number of expressions in common use to describe their conditions, such as “ice-cold,” “cool,” “chill taken off,” “tepid,” “luke-warm,” “warm,” “hot,” “boiling hot.” Our primary sensations, therefore, are those of hotness or coldness, and we are accustomed to thinking of hotness as varying in degree. If we put a hot body in contact with a cold one – if for instance we pour hot water into a cold vessel – the hot water is cooled while the cold vessel is heated. We regard this change as the passage of something which we term heat from the hotter to the colder body, its loss by the former being accompanied by cooling, its gain by the latter heating. We do not mean to imply by “something” some kind of matter. We may fairly describe kinetic energy as “something,” and say that when one body strikes another, setting it in motion, “something,” viz. kinetic energy has passed from the one to the other, yet we do not think of energy as matter. So here we only describe the heat as “something,” because we believe that we can identify the heat gained by the cold vessel with that lost by the hot water. We also think of heat as greater or less in amount. If the hot water cools very considerably, we think of it as giving up more heat than if it cools only slightly. Or if the quantity of hot water cooling is comparatively large, we think of it as giving up more heat than a smaller quantity of water cooling to the same extent. These then are our two fundamental ideas: that bodies are comparable as to their hotness or coldness, and that in general on becoming hotter they receive something which we call heat – the amount of heat received depending on both the quantity and nature of the matter and on the degree to which it becomes hotter. Correct. They should stop there. Energy can pass, heat can’t pass as it doesn’t exist in an object anymore. If definite conceptions really were their first aim, they would have dropped “heat” term after Joules work in 1843 when “heat” ceased to exist in nature. And especially after they write heat is not something. ⦁ 1) In the science of (Energy)..
⦁ 2) We regard this change as the passage of something which we term (energy) from the hotter to the colder body..
⦁ 3) So here we only describe the (kinetic energy) as “something,” because we believe that we can identify the (kinetic energy) gained by the cold vessel with that lost by the hot water. We also think of (kinetic energy) as greater or less in amount. If the hot water cools very considerably, we think of it as giving up more (kinetic energy) than if it cools only slightly. Or if the quantity of hot water cooling is comparatively large, we think of it as giving up more (kinetic energy) than a smaller quantity of water cooling to the same extent. ⦁ 4) These then are our two fundamental ideas: that bodies are comparable as to their hotness or coldness, and that in general on becoming hotter they receive something which we call (kinetic energy) – the amount of (kinetic energy) received depending on both the quantity and nature of the matter and on the degree to which it becomes hotter. It is interesting they write “We may fairly describe kinetic energy as “something,” but then write heat is NOT something then drop their something KE for nothing heat, geez – put KE back in for definite conceptions. There is just no useful purpose for heat anymore and they explain that – then inexplicably return to heat which they earlier wrote is not something. Using heat term is for appearances only, there is no science reason. Heat is a confusing relic of a bygone era; its usefulness was once evident (as a slide rule), heat term served its purpose & science has since 1843 moved on – use heat term no more, instead use their something kinetic energy. I guarantee blog posts will be more correct, maybe actually informative. Holy Cow! They removed noun 23. It was there when I posted the link. The copy/paste is from that same link. Weird I would think. It was there but then is covered by the graphic. The link or something is screwed up. Or some idiot site controller. But I saw it: # 23, as you said. Some people suggest using the term “internal energy” instead of the generic term “heat”. But that is a terrible idea, because a twisted elastic band has stored internal energy – which isn’t “heat”! Better: There is 0 heat in the ocean. Read those papers as “Ocean Energy Content”. The missing heat isn’t lost, it was never there after 1843. Of course, some energy could be lost from accounting by science’s current inability in tracking energy flow precisely enough in the huge earth L&O/atm. system. “Giancoli” is one of the textbook writers who thinks he is clever in making subtle changes to standard definitions, but immediately gets his knickers in a twist. Of course, what happened is that Giancoli unconsciously reverted to a default mind-set, that heat is a form of energy which EXISTS until transformed to another form of energy. Indeed, how could there be a mechanical equivalent of it if it weren’t a form of energy? How could there be a pithy First Law of Thermodynamics? He might have used the word ‘heat-ing’ for his special purposes, but that would have been too simple. And of course the bit about “due to a difference of temperature” is still kind of silly. Everything else, then, has to be called work; even the combustion of coal becomes work and not the production of heat. LOL. Yes, good spot nigel. Twisted knickers indeed. Money exists in a bank so cash can flow (transfer), heat cannot flow (transfer) as it doesn’t exist in an object from which to flow ever since 1843. Many author’s works try hard to make it otherwise so, result is sometimes twisted knickers. Avoid any possible twisting, use (or read) energy term. The canonical form of heat is the microscopic kinetic energy of a monatomic gas. It is all energy of translation, without any quibbles about vibrational energy. I am perfectly happy to say that “heating” is anything which increases the contained “heat” of such a gas, which I define as the sum of those translational energies. I am not happy to say it (heating) must happen by difference of temperature. I would then need another word for, say, heating by impact. Since the EFFECT is the same, this would be a distinction I would not generally want to make. I might WANT to make the distinction, but not usually by different vocabulary, but by explicit discussion. Then we can say simply enough that heating starts and stops, but heat goes on, existing until transformed. A bookkeeper has no trouble with producing a balance sheet AND a P&L account from the same record of transactions.